← GONE! 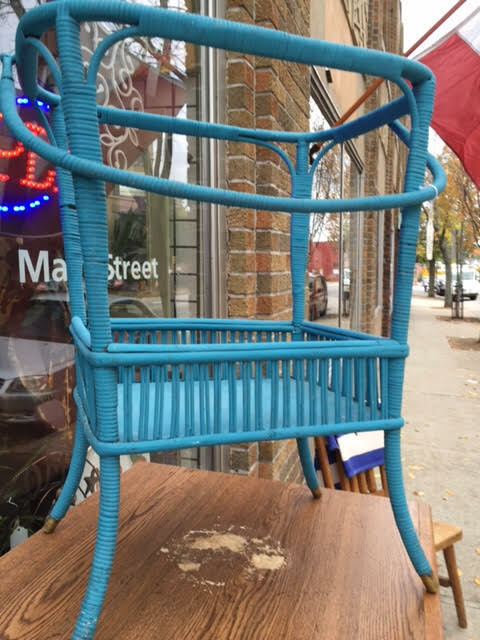 Another Inexpensive Entertainment Center – NOW FREE and In Front of the Shop! 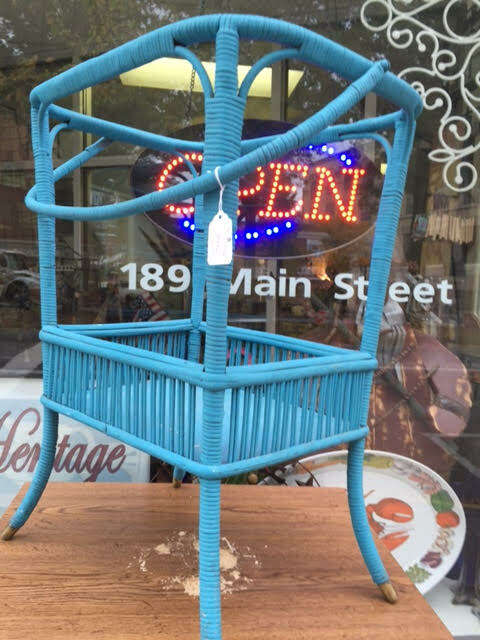 This is a cute little wicker thing, although we aren’t really sure what it is. As the title of this post says, we’ve used it to hold LPs, which it works pretty well for. 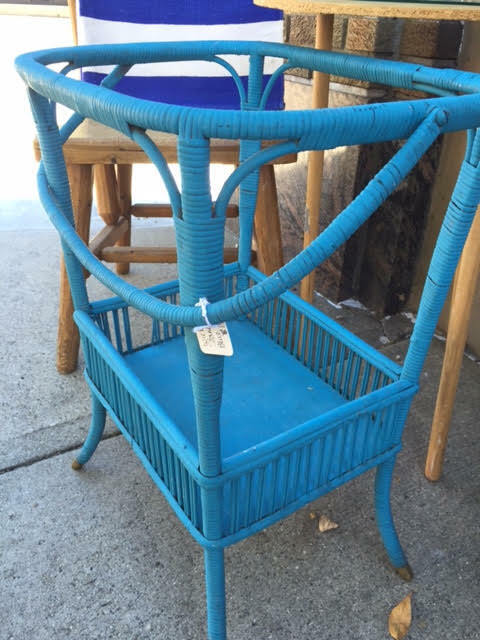 I suspect it would look fabulous with a large asparagus fern or spider plant growing out of it! Dimensions: About 24″H x 17″W x 12.5″D. 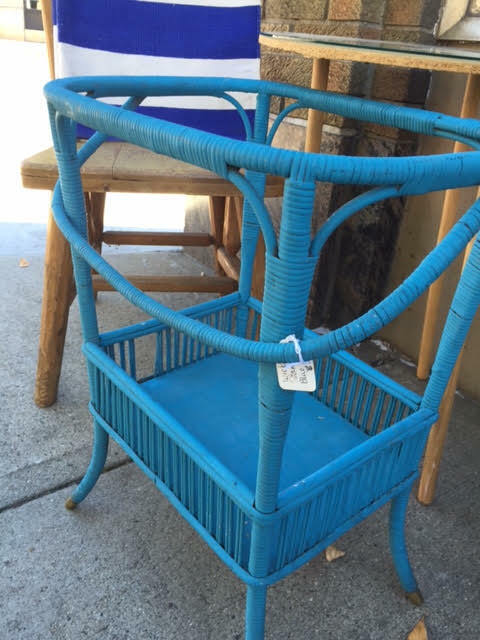 This entry was posted in Furniture - Antique & Vintage, Furniture - Miscellaneous, Furniture - Wicker, Home Decor and tagged blue wicker, Heritage Collectibles, inexpensivehomedecor, repurposerecycleupcycle, vintage wicker, Wicker, wicker cart, wicker plant cart. Bookmark the permalink.